Children with special needs bring so much joy to the world, but they also face unique challenges, as do their parents. 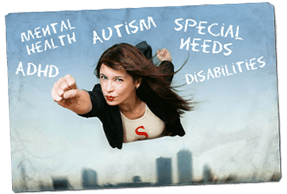 This section will answer tough questions about special needs including Autism, Asperger Syndrome, ADD/ADHD, gifted children, post-traumatic stress, physical differences, and more. Our doctors, therapists and parents of special needs children will guide you through the essentials of how to raise a differently-abled child so that he or she can lead a happy and healthy life.